Since having kids, I find myself checking out other strollers whenever I am at the mall or the park. I liken it to some men scoping out other cars, sizing them up, you know. And the funny thing is, I notice other moms checking out my stroller too! 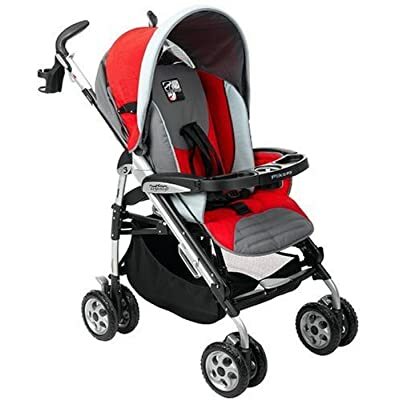 There are so many strollers on the market, I often can't help but stare when I see one with a neat feature, or one that I have never seen before. Regardless of all the bells and whistles I happen to notice on other people's strollers, I am quite content with my Peg Perego Pliko3. It's a higher end stroller, retailing for around $300, but in my opinion worth every penny. It has all the features of a great stroller with the ease of transportation of an umbrella stroller. 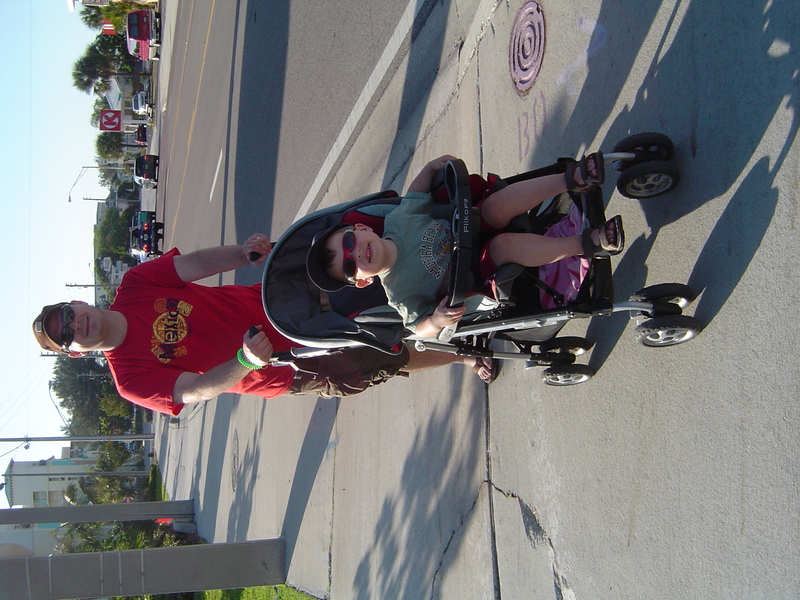 What I love most about this stroller, which we bought in 2006, is the way it folds up to the size of a golf bag. When the front wheels are locked in place, it stands up on it's own, which makes storing it in the garage very easy. It's lightweight, weighing only 17lbs. The seat reclines completely, another feature I appreciate whenever my child falls asleep. The snack tray is completely detachable (great for taking it off to wash out sticky snack residue!) It has a cup holder for mom, and a generous sized basket underneath. It is compatible with most infant buckets, as they can rest on top of the snack tray. When my daughter is sitting upright, my 3 year old son can stand on the back ledge and hold on to the handle bars. (Unfortunately this only works if the back of stroller is up, so I couldn't have him ride on the back when my daughter was in her infant carrier). The downside? The smaller wheels cannot handle an Ottawa winter, and the sun shade doesn't close entirely. But that's it. I would definitely give this stroller a 9/10!